For the realization of custom-made furniture, Doppiozero39 considers the choice of materials being a very crucial element, because each item has its role in the attention to details that make up the final product. The master craftsmen of Doppiozero39 can "feel" the raw material’s essence and be inspired by it, to work on it and refining it, in order to give the shape of a unique product. We wish to create the one and the only for our customers, because we see the one and the only qualities from each of our customers. Doppiozero39 sources from a selection of over 220 wood species, from the most traditional to the most exotic, providing ample opportunities to artisans for their works. The pine woods, fir, and poplar, for example, have a sweet composition to it and therefore easy to work with, and they are excellent for rich and decorative carving products. Typically, after careful processing they are plastered and painted with lacquer and gilding. Most hardwoods like walnut, ebony and chestnut are usually treated with transparent polishing, as to enhance the elegance. The leathers and fabrics selected by Doppiozero39 have been used to create highest quality, comfortable and stylish armchairs and couches which are all custom made. Our sophisticated treatments on these delicate materials would provide you with a gentle sensation for you to enjoy.  Thanks to the most skilled craftsmen in metalworking, and the most advanced techniques, Doppiozero39 could carry bronze castings classic style, laser etching for modern furniture, windows and doors for houses and shops. Finally, the glass work is an element that could not be missed in Doppiozero39’s furnishings, a material capable of retaining an innate elegance even in the most simple machining operations. With Murano glass masters, the company has introduced one of the best examples of premium quality that’s Made in Italy.